Patrick Laverty drastically increased JIGUJATM DETOX beverage store sales by inventing the World’s 1st beverage can dispenser for counter tops. The WEAPONTM is a fusion of years of hard work, trial and error in-store, creative genius, highly passionate team members, disruptive technology like IOT & 3D Printing, and refusal to be bullied by the industry giants. We bring the 4th INDUSTRIAL REVOLUTION straight to the customer. The WEAPONTM levels the playing field for small beverage companies to obtain premium product placement without massive marketing budgets. The small, customisable and scalable unit can be placed in high visibility areas to deliver your product ice cold at the push of a button. With The WEAPONTM your product can achieve permanent high impact visibility in a cluttered, highly-competitive environment at a fraction of the cost. Plus, with its mobile app enabled connectivity, you can easily monitor stock levels to ensure your product is always available. Is your fridge cluttered? Do you own a patio or home bar? The WEAPON HomeTM dispenses 30 iced cold 150ml cans of JIGUJATM DETOX DRINK. It is the perfect fit for your Kitchen, Home Bar or even Patio. This app enabled can dispenser is easy to use and is currently striving to better global efficiency standards achieving an incredibly low carbon footprint. Do you own a Liquor Store, Restaurant, a Supermarket or Forecourt Garage? Save space on your counter with the WEAPON RetailTM can dispenser. With the new application feature, checking beverage stock and temperature is a breeze. 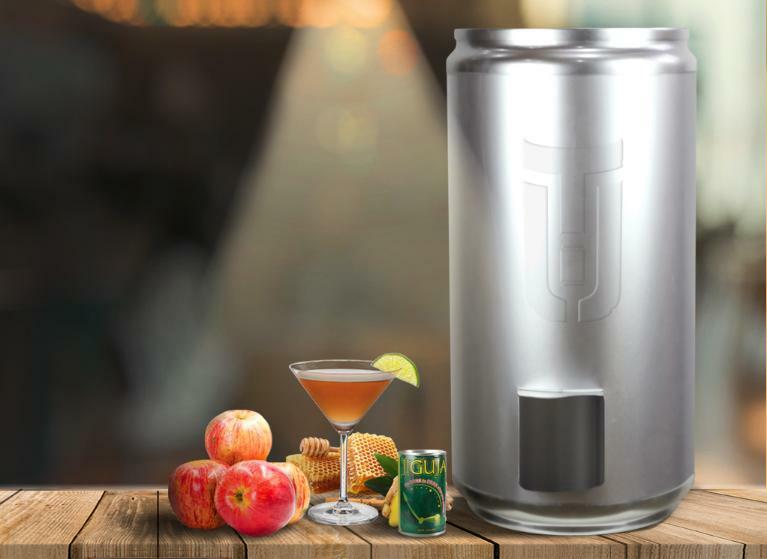 It dispenses 30 iced cold 150ml cans of JIGUJATM DETOX DRINK, while also maintaining an incredibly low carbon footprint. JIGUJA DETOX DRINKTM is a healthy detox drink, made from apple, cinnamon and the active ingredient, honey tree raisin, used for over a thousand years by Eastern Cultures. It can be enjoyed with or without alcohol. 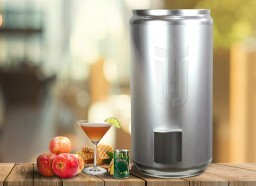 Drink JIGUJATM before, during or after consumption, and enjoy it when and where you want, with our World-first table top temperature controlled beverage can dispensing unit, The WEAPONTM. With customizable branding and small size, convenience has been redefined. New beverage lines by JIGUJATM coming soon within the next year. © 2019 The WEAPON Limited. ALL RIGHTS RESERVED. I consent to The Weapon collecting my details through this form.